They say 13 is an unlucky number. We don’t agree. This is 2013 and we believe it could be your lucky year, the year when success is just waiting to happen. So to help you along, we have compiled 13 conversation openers that you could use next time you go to a party or a conference or seminar. Don’t just stop at exchanging business cards and making a superficial conversation. In My Fair Lady, Eliza was advised to stick to health and the weather as safe topics of conversation. You can do better than that! Make the moment count. Start a meaningful conversation – and these 13 questions will help you make a connection. 1. What do you like most about your job? 2. How did you decide you wanted to work in this particular field? 3. Who influenced you to make your career choice? 4. What was the most impressive or inspiring thing that happened in your industry last year? 5. 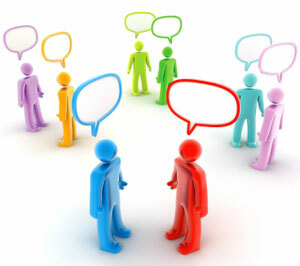 What are your company – and you individually – doing to deal with the current economic situation? 6. Which of your company’s initiatives in the last year had you most excited? 7. Who is the leader you would like to emulate, and why? 8. What is your personal method of managing time? 9. What is your secret recipe for success in business? 10. What exciting milestone do you expect in your industry this year, and how are you geared to make the most of the opportunity? 11. Which company in your industry sets the pace and what is it doing that is different? 12. Which one accomplishment will your focus on in 2013? 13. Which new year resolution will you absolutely, positively not break? These questions do not have a “yes” or “no” answer. They are designed to make the other person stop and think, make a choice. All the while you are engaging the person in a meaningful conversation. 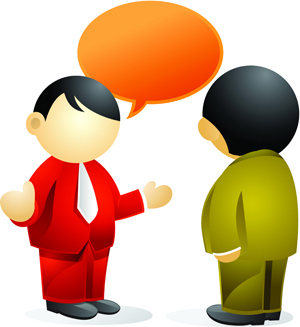 You can throw in an additional question or two to help the conversation along – such as “why?” and, better still, “how can I help with what you are trying to accomplish?” You may not be able to ask all these questions of one person but you will have broken the ice and the person you are talking to is most likely now to link a face and personality with the name on the card. It’s best to memorise these questions in advance and not look at a card while engaging someone in a conversation. And do remember that the other person is also trying to get to know you – so answer some questions yourself. You’ll find it all becomes easier after a few times and you may even end up with a valuable business lead, not to mention a friend.